Knowing full well we’d be riding high from seeing the Millennium Falcon in the latest Star Wars: The Force Awakens trailer, EA and DICE have revealed new images of the fan-favorite starship from the upcoming Star Wars Battlefront along with a shot of Boba Fett’s Slave 1. Both of these ships will be available for fans to pilot in the Fighter Squadron game mode, which will have both extra speed and fire power compared to regular starships in the dog fights. 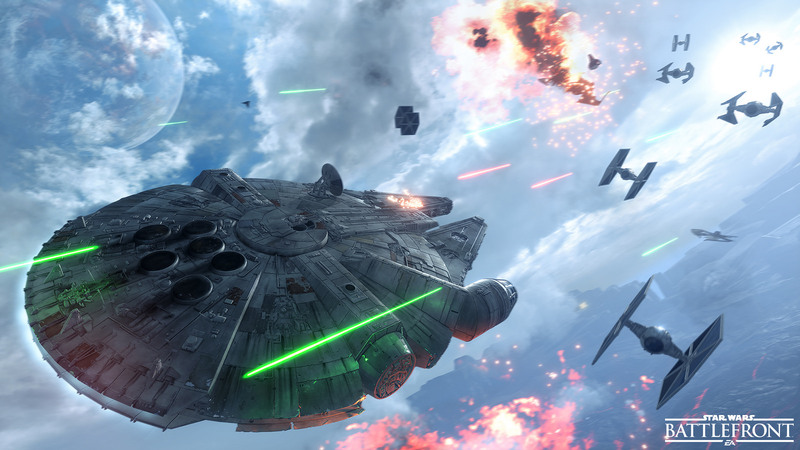 Check out the new Star Wars Battlefront images in the gallery below!